Tor Birger Skogen plays Othello since 1988 and was co-founder of the Norwegian Othello Federation that same year. Tor you said you wanted to make the WOF more visible by improving the information provided by the WOF website. Today, October 11th, the name of the President still has not been updated on the WOF page for Head Council,. Also no name for Secretary and Treasure. Why has nothing happened? Updates on the website have unfortunately been lacking for many years, also in 2013. Some new information is posted from time to time, but from what I understand there are only a few persons (1?) that have the ability to make updates. I see this as an untenable situation. Even though the homepage itself in my opinion is good and has an ok layout, it does not help when it is difficult to post information and do updates. There have been at least 3 initiatives to change the information you mention, but as you point out - the information is still not updated. It is possible that we have to build a new website based on a technology that makes it easy for more people to update. But while we are waiting for this, we fortunately are in the situation that your own OthelloNews conveys Othello information that I think is read by a lot of people. In addition, we have established a WOF page on Facebook which has over 700 members. This is used to spread information from WOF. In order to spread Othello worldwide, you wanted to improve communication with the member nations and thought it was important that the representatives for the confederations help establish new National Othello Federations. Has this been succesfull? I will give a full report of this at the WOF meeting. But as you will see, there are some new countries that will participate in WOC 2013. In addition, there has been dialogue with other new countries that had intention to participate as well, but who for various reasons have been prevented from participating. Whether this can be called successful or not I should not say, but something has certainly succeeded. The differentiation between Federations and Countries with Contact Persons and a new set of WOC rules, the followup of the initiatives of the WOF meeting. Has this gone according to plan? Yes. WOF council has proposed changes in the WOF statutes regarding Federations and Contact Persons. This will be on the agenda at the meeting this year. Also, we have already voted for a new set of WOC rules. I know somebody wants to propose more chances to the WOC rules, so this will probably also be on the agenda at the meeting. 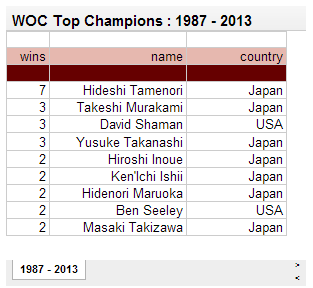 Lots of people are worried about the future of the WOC especially now that Megahouse promotes the OWC. You held the OWC banner for Singapore in Tokyo, but you did not seem too pleased at the time. You think both tourneys can co-exist? Yes, of course both tourneys can co-exist. But it is important that we do not establish 2 “World Championships” like the situation was in chess in the 90’s. 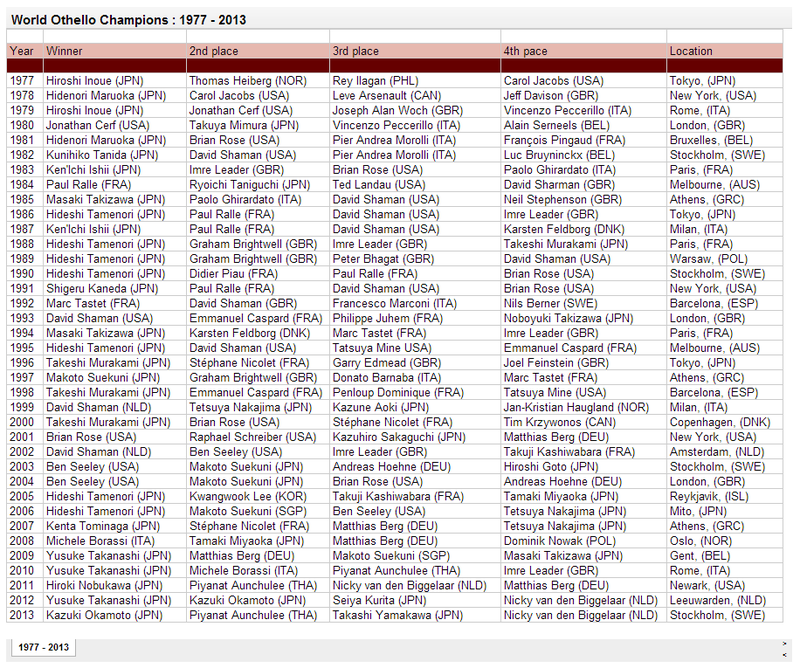 For the moment WOF organises the World Othello Championship. When the situation between Anjar and Megahouse has come to a conclusion, this may change. But until that, WOF will do its utmost to arrange an annual WOC. Because of the sponsor situation, there might be minor changes in these years. But for me it is important that WOC as we know it will continue. And I am convinced that WOC 2013 in Stockholm will be a great success! The annual meeting of the federations this year, any important issues to be decided? Differentiation between Federations and Countries with Contact Persons is an important issue, and maybe some more changes to WOC rules will be discussed. The complete agenda will be distributed in a few days. Now that you are President of the WOF, Othello is not just a fun game anymore for you. It also means responsibilities, meetings, speeches etc.. Has your love for the game changed in any way this last year? Thanks, Tor, see you in Stockholm! Bengt, you were head tournament director of the WOC 10 times and this year the WOC returns to your home country. How special is this for you? Not bad at all. It is time for WOC to be more well known and interesting for the media and I see this as a start. Othello can become more popular, but we must all help each other to make that happen. Media attention for a succesful WOC will help achieve that goal. I heard that you will step down from the board of the Swedish Othello Federation, do you intend to spend more time on international Othello or will this be your last WOC as head tourney director? I thought so too, but I was asked to stay on for at least one more year. Mateusz Sosnowski decided to step down as chairman and I was asked for that job. I agreed to do it for a year. The next years are very crucial for the future of the WOF and I will continue to promote Othello as long as it is possible. WOF now has more members than federations, the coming years will be both interesting and confusing. This year's venue, The Royal Castle, how amazing is that? The old sponsors Anjar and Megahouse probably wonder what strings the WOF pulled. What did it take to get access to such a gorgeous place? Good contacts :-) Royal castle is my neighbour. Lucky for us it was not booked and we made a good deal. Yes it will be great for the players! 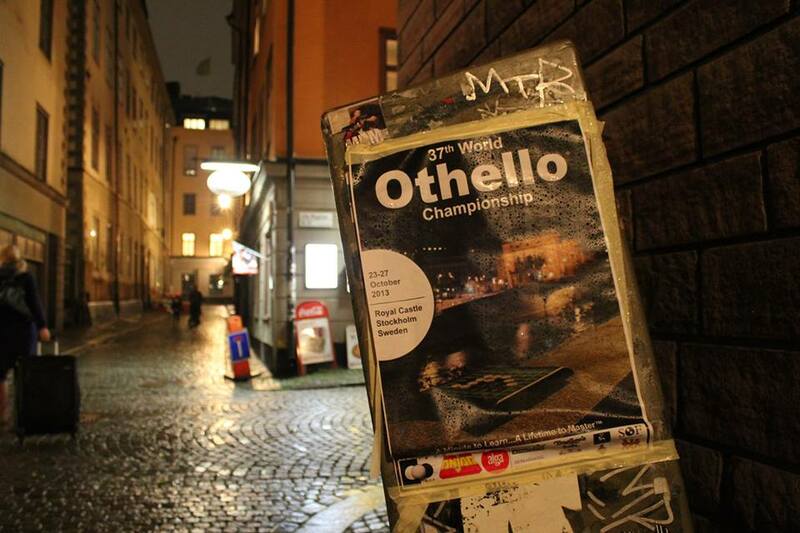 We decided to give Gamla Stan in Stockholm an Othello make-over! It can always be better. We have less female players this year. Also fewer Asian players than before. 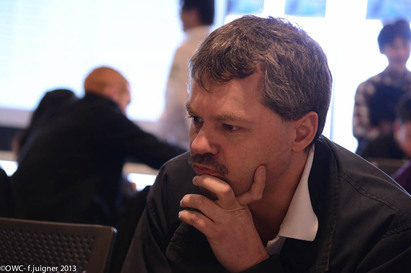 Except for team Japan we see more "established" Othello players. Where is the new generation of players from Europa and America? Asia has a lot of outstanding new players, but it seems that in Europe and America it is hard to attract new players. Some people think the OWC is competing with the WOC for the most prominent spot on the Worldwide Othello stage. What's your response to that? First of all, there is NO competition between WOC and O-WC. 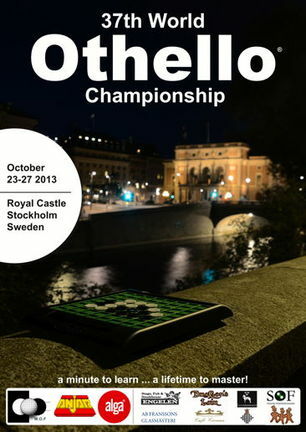 The World Othello Championship is a tournament for all National Othello Federations and therefore THE Championship. O-WC is a company-owned tournament. I see it more like the Football World Championship and the Super cup. It is both football, but World Championship is the real one and Super Cup is a more special, but fun tourney. Cooperation between both tourneys will make the Othello world stronger and that will result in more media coverage and the most important: Othello will be more well known and more new players will join all national federations. The big issue behind O-WC and WOC is a conflict between Megahouse and Anjar. The conflict can and should be handled more wisely. It is still not too late to find a better solution and let the Othello world continue to grow in peace. All will benefit, the National Federations, players all over the world, the WOF and the companies who need to earn money. The Othello community is spreading worldwide but a lot of European Othello federations struggle to get people to come to play at tourneys. Is there any chance that Othello will be as popular as other mind games like chess, go, etc. and what needs to be done to achieve that? Othello depends on the players. Every country has it’s share of enthusiastic players. When they are on fire and work hard at their game and for their national federation, they attract a lot of other players and everything runs smoothly. But when those players retire from the game, often there is no one to step in their footsteps. Sometimes the persons who are in charge don’t realize that they should back off at times and let others help or take over. I have seen this happen in many countries. It is important we support people who have new ideas or who want to help organise tourneys. Another thing is that in many countries the difference between the top and bottom gets wider and wider. The average players have stopped to play and when a rookie comes to a tourney, he/she meets 5-7 top players and loses big time, never to return. I believe that it is important to organise special tourneys for beginners. In Sweden, the Netherlands and Belgium there have been a few of these tourneys and they were succesful. We must understand that not all players are good at Othello, but they like the game anyway. So to get new players it is important that we organise events where people meet players of their own level. Online there are a lot of low level players that have played 1000-4000 games and love the game. Those players we must help. Help educate lower rated players, help players who like the game and play a lot to get into contact with their National Federation. When they contact their federation there has to be an immediate and helpful response. The European Grand Prix must become more interesting and well known. We can do it, and if we do it right it can become as big as Japanese Othello. I am sure that if Europe starts to cooperate as "one country" and organises more and better EGP tourneys we could even have an extra team Europe at the WOC. Your prediction for Champions and winning team? It is not an easy guess but I think Kazuki Okamoto can win this year, though it will be a hard fight. It depends on the daily mood of the players. If Nicky van den Biggelaar and Michele Borassi are in a good mood they can make it to the Semifinal. I can also see Katie Wu to be the first female semifinalist and I could name 8 more top players who have the potential to reach the semifinal. We had a great time in Tokyo at the O-WC, I am sure Stockholm will be even more fun with all our Othello friends. Thanks for the interview Bengt, see you in Stockholm!